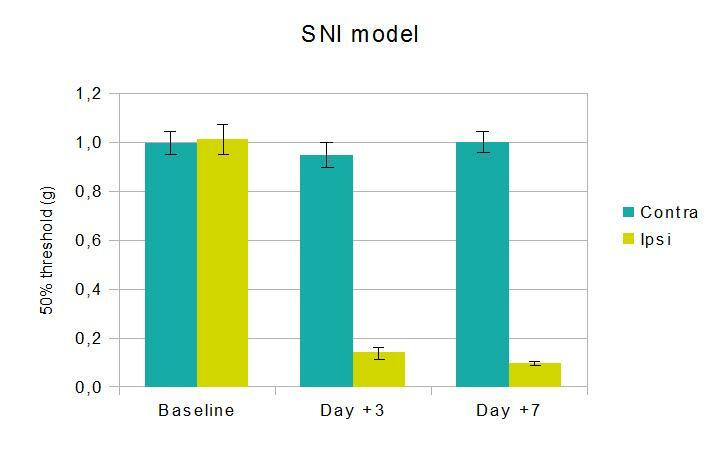 developped by Decorsted & Woolf (2000), the spared nerve injury (SNI) model produces a robust mechanical allodynia measured as a fall in cutaneous sensory threshold. It results from section of the tibial and the common peroneal branches of the sciatic nerve. Neuropathic pain is maintained for several weeks and gives advantage to investigate acquired tolerance of compounds. Thermal hyperalgesia, mechanical and cold allodynia can be managed. developped by Bennett & Xie (1994), this model loosely ties the sciatic nerve with three ligatures at the mid-thigh level. 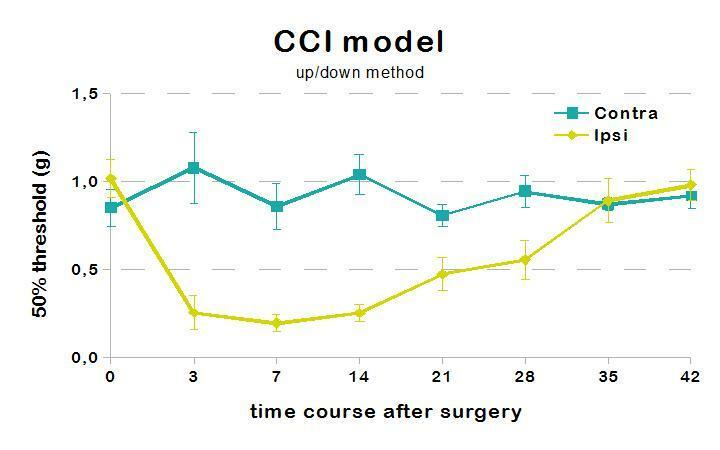 This model gives the advantage to be transient with a recovery of normal state after 3 to 4 weeks. This model is usefull to determine development of neuropathic pain. Thermal hyperalgeisa, cold allodynia and tactile allodynia are proposed to analyse this model. Diabetes is induced in mice by using streptozotocin (STZ) injection, a compound that has a preferential toxicity toward pancreatic β cells. Neuropathy is a major complication of diabetes. Readouts of this model are mechanical allodynia and glycemia. Thermal hyperalgesia can also be performed. 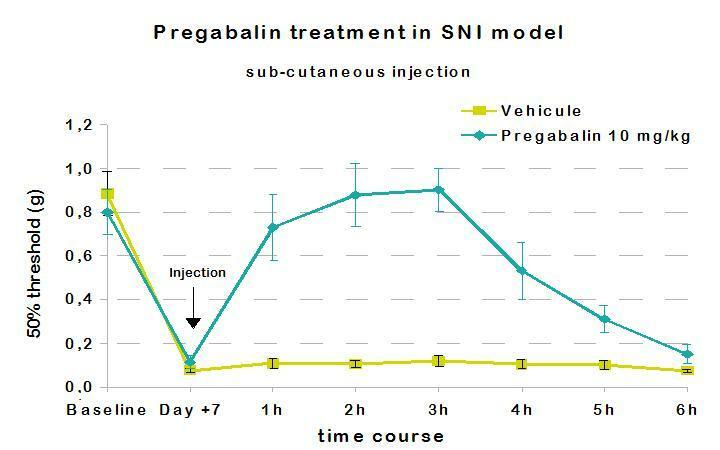 Pregabalin injection can transiently reversed mechanical allodynia.